This entry was posted on Wednesday, June 20th, 2012 at 9:55 am	and is filed under Celiac & Gluten Intolerance, Gluten-Free Recipes, Seasonal Foods. You can follow any responses to this entry through the RSS 2.0 feed. You can leave a response, or trackback from your own site. I recently saw micro-greens growing on a friend’s window sill and now I see you talking about their benefits. Plus a recipe to try (pesto is my favorite). This is just the nudge I need to try these little puppies. Thanks! I’m a new advocate. I love these little things and they are packed with taste, goodness, and nutrition. They make excellent pesto. Give them a try and keep us posted. I can’t wait to try all the different varieties. I’m definitely on the micro-green bandwagon! Love this idea of putting on fish! Thanks for sharing! It was delicious. Really good!! This looks amazing Melissa! Somehow, I have the feeling that you are a pesto queen. 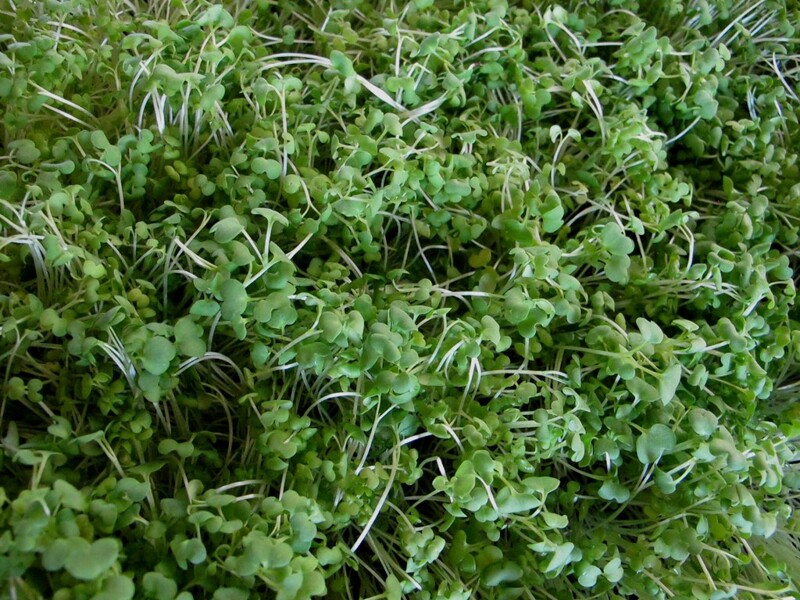 I’ve actually never tried microgreens. We just moved near a nice little co-op, I’m betting they have some. gorgeous! i love pesto! so fresh and delicious! Yummy! I was just talking with the lady that runs my CSA this morning and she was telling me she plans to do microgreens too! Yay! This looks so good.